Spring cleaning is an annual tradition in many households. After a winter spent cooped up indoors, spring cleaning can rejuvenate a household and provide a great chance to rid a home of a season’s worth of clutter. Donating old clothes and cleaning out the garage are popular spring cleaning projects, but there are a host of additional tasks homeowners can tackle to freshen up their homes this spring. Simply vacuuming or sweeping the floors might not be enough to banish some of winter’s most uninvited guests. Dust has a way of settling into a home over the course of a typical winter, and it’s easy for a home’s inhabitants to track dirt and debris inside as well. After vacuuming or sweeping floors, go over them with a mop. Doing so can remove any lingering dust, dirt, debris, and allergens the vacuum or broom failed to pick up. Apply wood cleaner and polish to wood floors to make them look even cleaner. Though baseboards might not seem all that dirty, upon closer inspection homeowners might notice substantial accumulations of dirt and dust. Such dirt and dust many not be removed so easily, so homeowners might need to use hot water and a sponge to remove any debris that is clinging. Curtains also may have absorbed substantial amounts of dust, dirt and debris over the winter. This might be more visible near the end of winter when more sunlight begins to shine through. Clean the curtains in adherence to the manufacturer instructions before you open windows for the season so any wind that blows in does not spread debris onto nearby furniture. Once the curtains have been washed, opening windows may help them dry more quickly. Bathrooms also tend to bear the brunt of winter weather, as mold and grime can accumulate throughout a season in which it’s too cold to open bathroom windows to let fresh air in after bathing. Inspect ceilings, tubs, shower stalls, and floors for any signs of mold growth or grime. Mold growth in a home can lead to respiratory problems and exacerbate existing conditions such as asthma, so it’s best to inspect bathrooms for any signs of mold growth throughout winter. If you have let that slip, prioritize such inspections come spring cleaning time. It’s easy to overlook furniture when tackling spring cleaning, but dust and dirt can quickly accumulate on couches and chairs over the course of winter. When possible, vacuum furniture to remove any debris that might have accumulated while windows and doors were kept shut, and shampoo any cushions or seat covers that don’t pass the smell test. The arrival of warmer weather means different things to different people. Some anticipate opportunities for outdoor fun, while others may be considering redecorating or remodeling their homes. For the latter group, home improvement season provides a great opportunity to make homes more eco-friendly. When planning home improvement projects, it’s best to first choose a project and then look for ways to make the project more environmentally friendly. Such an approach may not only benefit the environment, but it also may benefit homeowners’ bottom lines. Longer days and warmer temperatures often translate into wanting to freshen up the interior of a home. Heavy draperies and comforters are put away, and lighter fabrics are taken out of storage. Whenever possible, reuse or repurpose items you already have rather than purchasing new items. 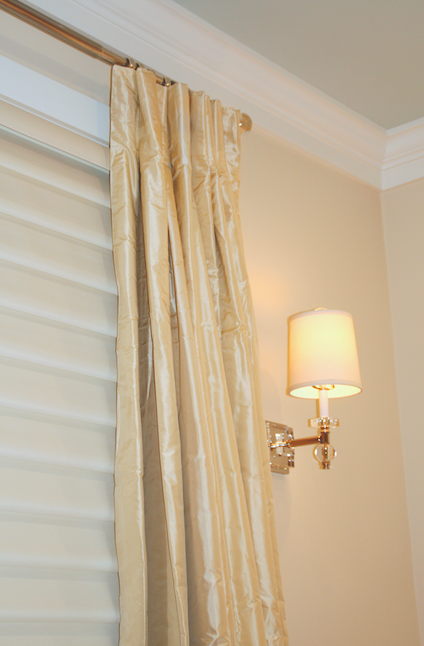 Longer drapes can be cut and hemmed to be used as window treatments in other rooms. Making a patchwork blanket out of old T-shirts is a crafty project that makes use of items that would otherwise be destined for landfills. 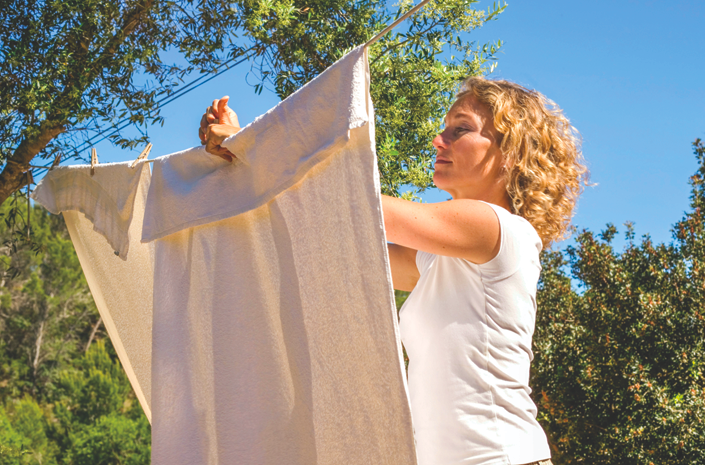 When laundering linens, skip the energy-using dryer and let items line dry in the sun and fresh air. If you decide to purchase some new items, look for products made from sustainable or organic fabrics. Hemp and bamboo textiles have grown in popularity. Hemp and bamboo plants grow quickly, and their durability makes these materials smart choices. When replacing items around the house, donate older items to a charitable organization. Spring and summer call to mind beautiful blooming plants. Relying on native, sustainable plants is practical, environmentally friendly and cost-effective. According to the National Wildlife Federation, sustainable plants are native plants. Native plants sustain local wildlife more effectively than non-native alternatives, so include native plants in your sustainable garden. Native plants also are less reliant on pesticides and herbicides to keep them healthy and viable. Don’t forget to bring plants indoors as well. Even though you may be opening the windows more, indoor plants can filter and purify indoor air. The NASA Clean Air Study, led in association with the Associated Landscape Contractors of America, found that certain common indoor plants naturally remove toxic agents such as benzene, formaldehyde and trichloroethylene from the air. Efficient air cleaning is accomplished with at least one plant per 100 square feet of home or office space. Spring cleaning is another tradition for many families come the end of winter and dawn of spring. Many people use spring as a time to go through closets and garages to remove items they no longer use or need. In an effort to clean up fast, some people may dispose of chemical products, paints, treated lumber, and many other items in ways that can be damaging to the environment. Always learn local municipal guidelines for proper disposal of potentially harmful products. Area recycling centers may have drop-off areas for stains and paints, used motor oil and other potentially harmful products. Before discarding something, see if it can be donated or sold. This will result in fewer items ending up in landfills. Exercise caution outdoors as well. Runoff from cleaning products used on home siding or driveways can leach into the surrounding soil or find its way into sewage drains that ultimately direct fluids to public waterways. Choose environmentally responsible products whenever possible.